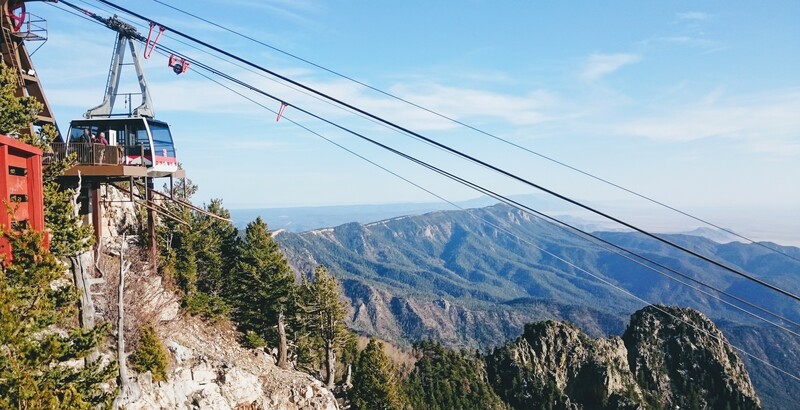 The Sandia Mountains are home to the world’s second longest tramway, which is 2.7 miles (4.3 km) long. Over this distance the tram cars ascend over 4,000 feet (1,200 m). The average speed of the tram car is 12 mph (19 km/h), and the length of the ride is approximately 15 minutes.